If you’re like us, you’re still feeling a slight musical hangover from the insanity of this weekend’s Americana Fest. Thankfully, this new video from Ali Sperry provides a unique take on the traditional Americana sound that’s been flooding our ears for the past few weeks. With tasteful pedal steel set alongside Sperry’s haunting vocals, “Always Been” is an earnest and intimate track that talks about the struggle of staying centered when life becomes unpredictable. 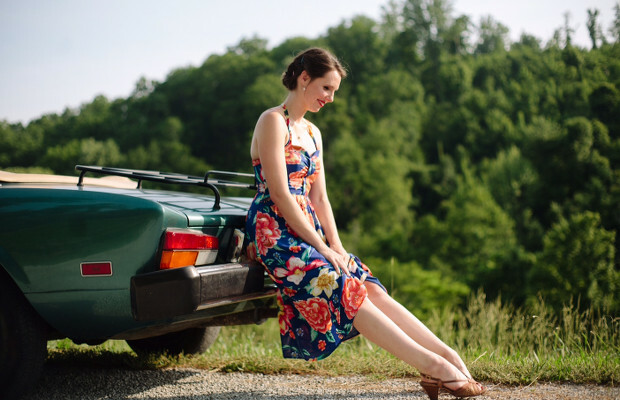 Lorie Liebig is a music journalist who moved to Nashville in 2014 from the Washington D.C./Maryland area where she previously worked for NPR Music. In addition to writing for No Country For New Nashville, she is also a contributing writer for Wide Open Country. You can contact her directly at [email protected] or through any of her social media linked below. Cherub Premiere Music Video for “<3"